When local government managers look for a new position, they can take several steps to present themselves in the best light. 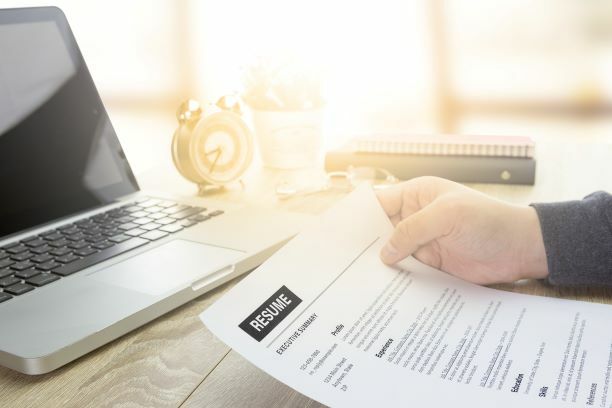 Candidates should prepare beforehand for matters that might come up during and even after the interview, when they could potentially be negotiating a contract with a local government. These suggestions come from Catherine Tuck Parrish, executive search practice leader with the Novak Consulting Group, and Patrick Wojahn, mayor, College Park, Maryland, who were speakers at the 2018 ICMA Annual Conference. When preparing for an interview with a community for a CAO position, candidates should plan to research the community. This research can involve reading the local government's website and social media platforms, along with all the important documentation available, including budgets and strategic plans. It's also important to pay attention to what the community is proud of, perhaps awards it has won or recognition it has received. This research allows you to understand the local government's priorities and what the community likes about itself. It is also important that you look at outside local government sources. Additional resources would include local media and such organizations like the local Chamber of Commerce. Through these investigations, you can create a complete picture of the community that will inform how you answer questions relating to the background of the community you are hoping to work for. When being interviewed by elected officials, candidates ought to be able to answer questions in a way that is both clear and reflects who they are as human beings. It’s important that the officials not only get to see what you can do based on your work history, but also that they can relate to you as an individual with whom they can work on a daily basis. To feel comfortable seeking your advice as CAO, they have to know that they can trust you. Similarly, you must be ready to answer tough questions about your own background. How have you dealt with local government officials and residents in the past? Councilmembers will evaluate how you might face difficult challenges in their community by considering how you have responded to situations in previous positions. Tuck Parrish also recommends that candidates develop a "leave behind document.” This can be an example of past work or, as some of her clients have done, a newly created work plan for the first year based on what you have identified as the important priorities of the community. This type of document shows both that you are serious in your desire for the position and that you have put real thought into what you can bring to the job. The “leave behind document” also demonstrates your thought process. Councilmembers can then consider how your approach matches their own thoughts about the community’s challenges and how to address them. Once offered the position, the candidate needs to negotiate with the local government on an employment contract. There are several ways that you can prepare for this negotiation, including doing research on the salary paid to the previous person who had the position as well as indicating your own financial requirements. When it comes to the actual negotiation, you should make your case for what you would like to be paid, while at the same time demonstrating that you are willing to compromise. This means being able to evaluate offers or counteroffers quickly and efficiently and having the appropriate language ready when the negotiation begins so everyone starts from the same place. Tuck Parrish suggests that you bring your previous employment contract with you to a contract negotiation, not to share with the governing body but to make sure that you have a good idea of all the aspects of the previous contract that you want to put in your next employment agreement. By being able to work efficiently and openly with the community to get the best contract, you will be in a good position to start your employment on the right foot both for yourself and for the community. Access this presentation and 22 other ICMA 2018 Annual Conference sessions through the ICMA Virtual Annual Conference archives.